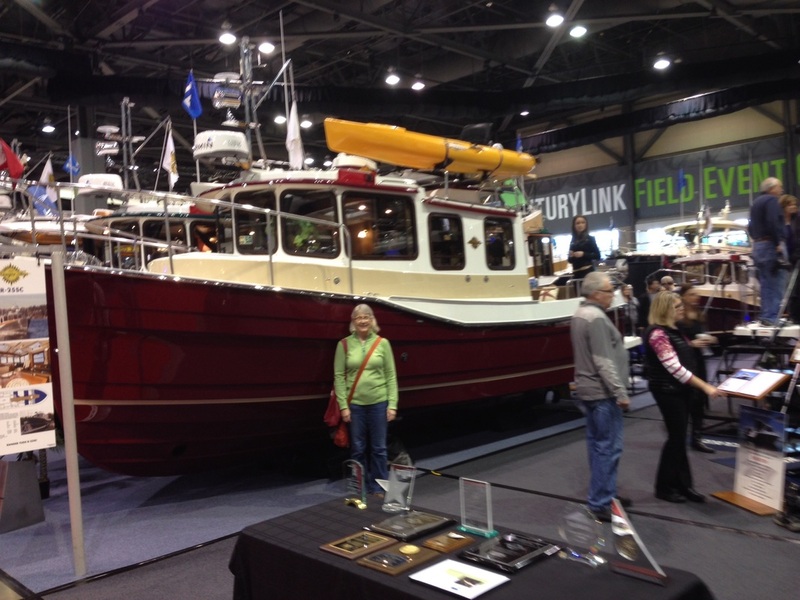 ​We went to The Seattle Boat Show at the end of January 2015 with every intention of just LOOKING at the pretty boats. We already had our Ranger21, Nellie May, and knew we loved the Ranger Tug brand. We saved the Ranger Tug display for our last stop that day. 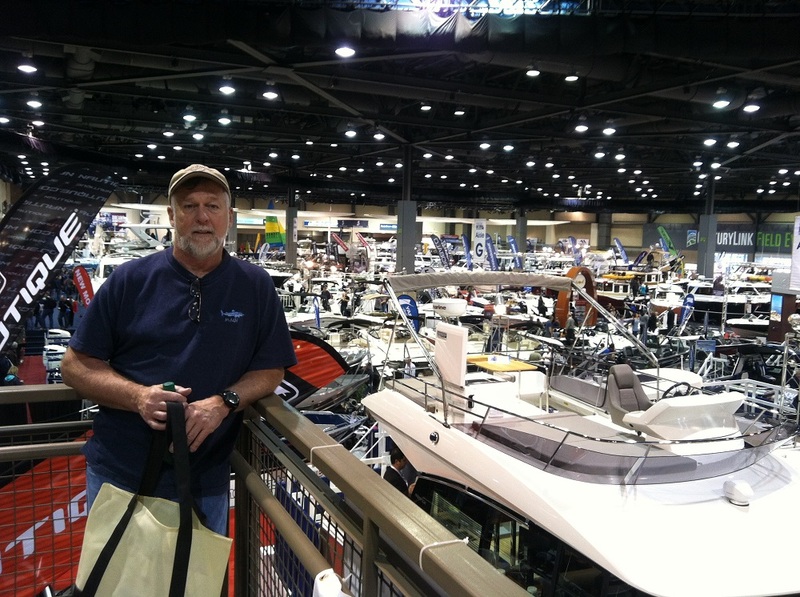 We attended some great lectures and classes at the boat show the first day and Tim wore his battered Ranger Tug hat. Wearing the hat connected us to other Ranger Tug fans and lively discussions ensued. 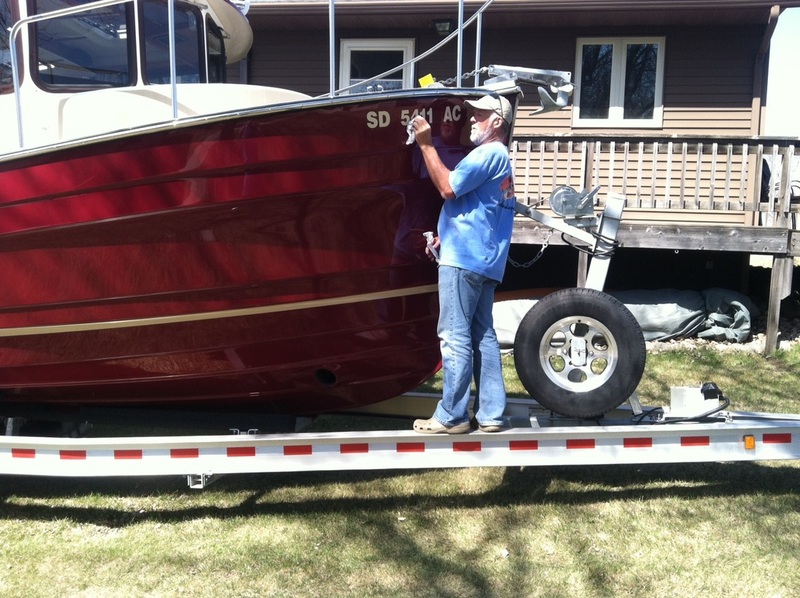 ​Tim intended to purchase a used Ranger25 in the future so he would ask if they had any experience with the older boats. Everyone said to get the new Ranger25 because Ranger Tugs had fixed all the issues the older models had with layout and such. So when we finally made our way to the Ranger Tug display area we came with loads of questions. Andrew Custis is a wonderful salesman. He showed us all the modifications on the new Ranger25 while we looked in every nook and cranny of the show model. After some good hearted negotiations on price and extras we wrote them a check and “owned” the show model. I joked that I wanted them to require everyone at the show to take off their shoes when they came on OUR boat for the rest of the week. We are very impressed with the way Ranger Tugs runs their business. Andrew invited us to meet him at the factory and he gave us a tour. We got to see that they truly make each boat one at a time. And they have awesome customer service! ​Dave Hauck from King Marine Canvas met us at the factory/office in Kent, WA to get our input on the special Bimini cover we ordered for our new Ranger25. We live in South Dakota where mosquitoes are pesky but nights are hot so we wanted screens in the walls instead of solid walls. 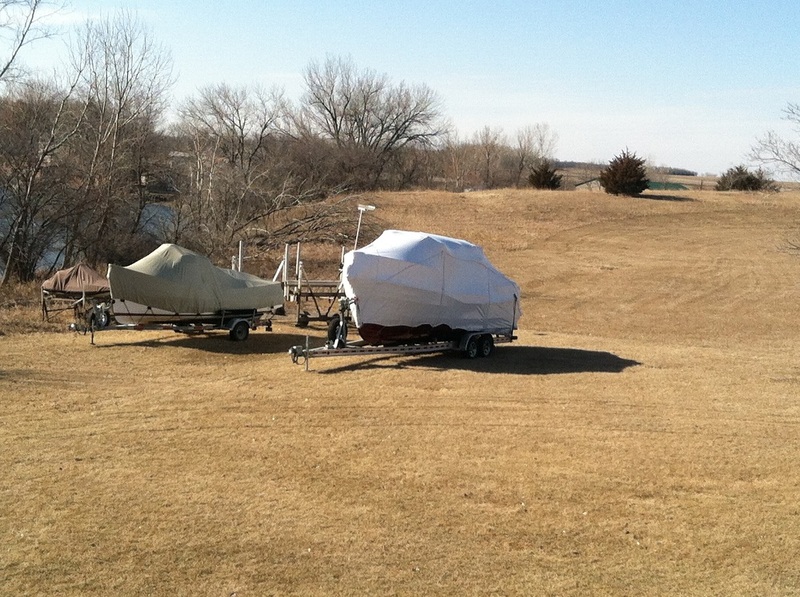 And we needed a winter cover with a zip door so we could get in and out of the boat in our cold SD winters to check on systems and push snow off the cover. Dave took notes and delivered exactly what we needed. Andrew arranged for the tug to be shrink wrapped and delivered to us in South Dakota. We didn’t want it delivered until the ice was off the lake so we could launch it and do some testing right away. 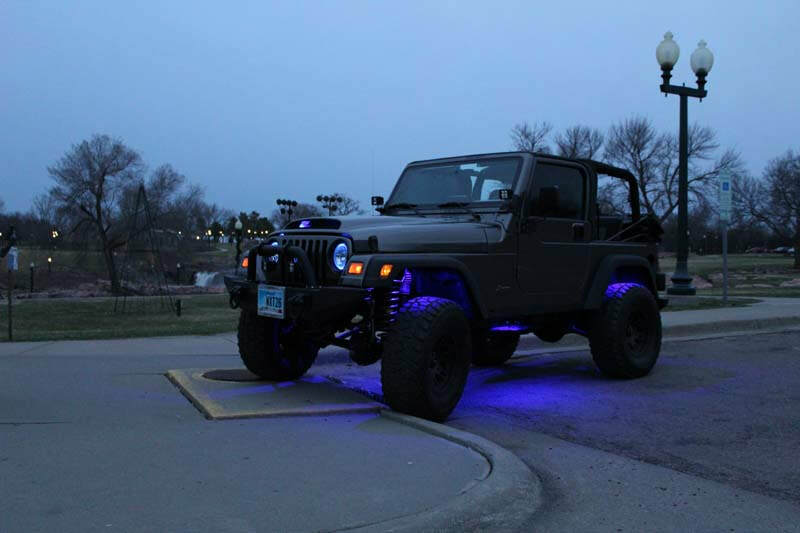 Or ,in other words, it would have been hard to look at it sitting in the yard and not be able to play with it! And there was no way we were going to drive the new boat over the mountains. Don’t need that kind of stress. We now have 2 Ranger Tugs. Nellie May is on a Floe lift at our home on Lake Madison, SD, available for evening cruises around our lake. We enjoy boating to our favorite restaurant on the lake, The Broadwater, for dinner, drinks and music. Everyone there loves our little tugboat. The Broadwater has a dock where we practiced our docking and line tending for the last 4 years. We are “the tugboat people” there. So many people love our little tugboat that if we ever decide to sell her we will have to have an auction.